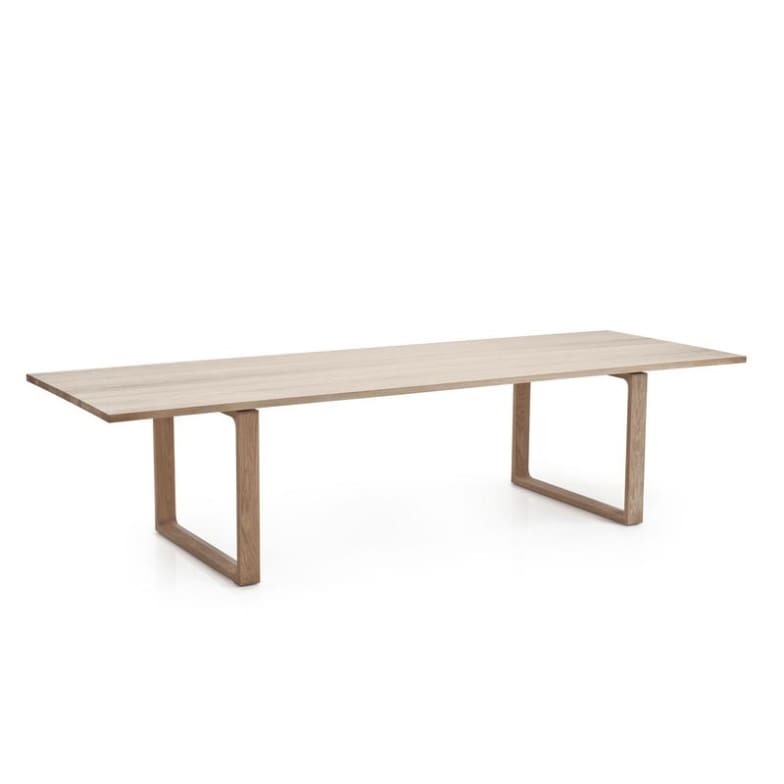 Essay™ is an exclusive table series in solid wood, created by the Danish designer Cecilie Manz. What distinguishes Essay™ is its solid yet light design. The design is a perfect example of Cecilie Manz' approach with its simple lines and sparse form. The table consists of three elements - a table top and two bases - in a simple and natural construction that gives it both and elegant look and flexible functionality. The table is perfect as the gathering point for any home where family members, friends and guests meet. Essay™ is available in a variety of sizes. The table top and bases comes in several types of wood. The bases are also available in wood with a high gloss finish. Each of the tables can be expanded with black linoleum leaves on both sides. Available also in 70 cm height or 74 cm height. Do you have a question about "Essay™ (Oak)"? How can we contact you?